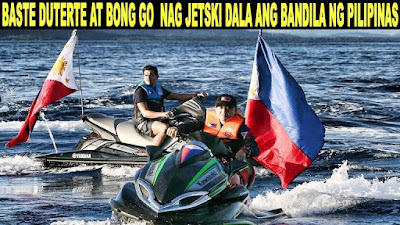 In an act of bravado to signify Philippine interest to cordon off the Philippines’ latest maritime gem, President Rodrigo Duterte aboard BRP Davao del Sur signed on May 15 a presidential proclamation declaring portions of the Philippine Rise, formerly known as the Benham Rise, and Eastern Kalayaan in the Spratly Islands as protected areas. The 50,000 hectares resource-rich continental shelf which became a Strict Protection Zone exclusively for Philippine scientific studies was ruled out by the United Nations in 2012 as part of the country’s Exclusive Economic Zone (EEZ) giving the Southeast Asian’s archipelagic nation-state the sovereign rights to explore and exploit resources in the area. The Philippine Rise is an uncontested underwater plateau about 150 nautical miles to the east of the northern Philippine island of Luzon. It was renamed also in May last year from Benham Rise, fortified through the Executive Order No. 25, renaming the 13-million hectare area undersea landmass off Aurora and Cagayan provinces in an apparent bid to assert the country’s sovereignty amid alleged incursions by Chinese ships. 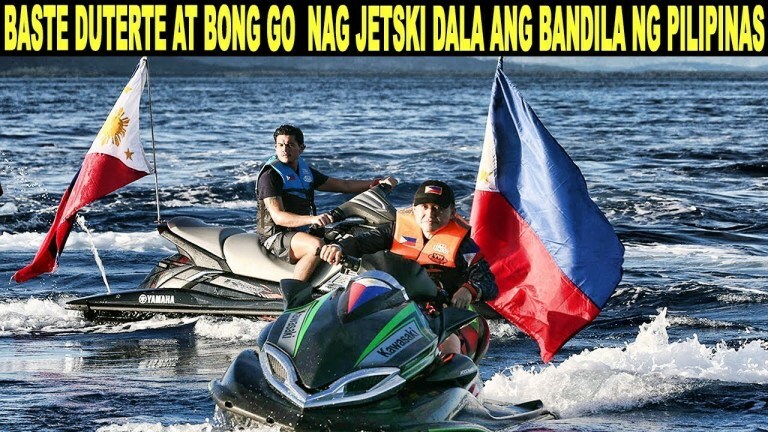 Two years ago, in a campaign showdown between and among presidential candidates in the Philippines, the firebrand leader caught the attention of Filipino voters when Duterte said, out of his witticism to augment his tactical approach, to ride a jet ski to the contested waters of the West Philippine Sea on China’s reclaimed land in the Spratlys and plant the Philippine flag there to stir his patriotism to the country at the height of the ongoing row in the West Philippine Sea between China and the Philippines. As of this time, that political promise has yet to be realized. Last year, China sought permission from the Philippines Department of Foreign Affairs to conduct its own hydrographic surveys in the uninhabited and structure-free Philippine Rise which saw its presence in several periods. The massive rise has no scintilla of ownership dispute and is recognized by international law that gives an apparent geostrategic importance to China in its quest to establish itself as a regional hegemon. China’s newfound defense and economic confidence is near completion on its reenvisioned maritime power. Understandably, this undersea scientific playing ground matters to China’s quest for maritime expansion. Despite the warming relationship of China and the Philippines and frequent visits of strongmen Asian leaders in Beijing and Manila, how come that the Filipino president tries to assert his sovereignty rights over the Philippines Rise? Will China continuously pursue bilateral cooperation in the exploration and exploitation of the resource-rich rise? In a conciliatory bid to soften Manila’s aggressive attack on Beijing, President Duterte’s recalibrated diplomatic knack swiftly nurtured a welcoming friendly ties with Xi Jinping after the highly-talked about July 2016 Arbitral Tribunal invalidation of China’s nine-dash line claims, for which after several high-level summits, it will pave a way for an holistic Framework on the Code of Conduct in managing the contested islands to avert the costly consequences of any potential outbreak of armed confrontations in the disputed sea region. Underlining President Duterte’s action man persona proves that he is trying to assert sovereignty to Philippine territories bounded by the spirit of the Philippine Constitution that explicitly adheres to the protection and security of the country’s national sovereignty and territorial integrity. In his thrust to accelerate federalism, he had ordered the composition of the Consultative Commission that intends to harmonize the country’s 1987 constitution with existing international laws of the sea. However historic right and legal title on the Philippine Rise can become a potent factor to circumvent the ambiguity and volatility of regional security environment that may make or break any strategic undertaking. To subscribe to the historical claims would be a haphazard calculation of China’s saber rattling military manuevering to legitimize its claims in the disputed islands in the region. It is a double-edged sword tactic resulting to pessimistic multiplier effects on how to deal with the Philippine Rise conundrum. On the query on bilateral cooperation between the Philippines and China, it appears relatively affirmative and promising. In terms of joint scientific research, Philippine law would allow foreign research in its territory as long Filipino scientists are aboard the research vessel and the findings of the study are shared internationally. Hence, Article 246 of the United Nations Convention on the Law of the Sea (Unclos) permits in normal circumstances the granting of consent for marine scientific research projects by other countries. Nonetheless, the world’s second largest archipelago remained weak in defending its stolen territory and maritime entitlements despite an increase to 13 million hectares on Philippine archipelagic territory based on endowment of the Unclos to the Philippine Rise. Hence, Philippine defense laws and security executive issuances should essentially identify fundamental interests, primarily for the fortification of the country’s sovereignty and territorial integrity. In the end, the Philippines is still locked in a period when hegemony of naval powers reign at seas to regain its real independence.